So you’re ready to remodel your kitchen, bath or other room and you’re looking for advice? Well you’re in a great starting place, seeing as how you found your way to our blog. The internet is really amazing – think about what people had to go through just over a decade ago to find out the answers to their most perplexing remodel questions. What will the next decade bring? The power of the internet has been big for homeowners. Not only is it easier to look up remodelers in your area, but there is so much information available, that it’s virtually impossible to go into a remodel completely clueless about what to expect. And, design ideas? 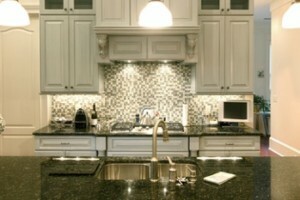 They’re everywhere from your local kitchen and bath remodeler’s blog to their kitchen remodel Pinterest boards. Just don’t get carried away. Remember not to get too far along in your planning process before talking to the professionals in your area. Sometimes people focus so strongly trying to create an exact replica of a model kitchen, and they end up either extremely frustrated when that exact kitchen may not be doable for their living space, or it’s way beyond their price range. Focus on styles, colors and solutions you’d like to see in your kitchen, versus exact manufacturer brands with all the bells and whistle details. While we don’t believe 100% in the old saying, “a cabinet’s a cabinet’s a cabinet…” many brands can achieve the same overall solution in your kitchen remodel; some with better price tags and warranties. Your local kitchen and bath professionals will be able to tell you why they chose the brands they chose, even if they’re not the ones you found in your designer magazine. Hear them out fully, and then you can make a more educated decision. If you’re getting started on a kitchen or bath remodel, check out our free kitchen remodel survival kit by clicking below.